Singer-Songwriter, Reggae Artist, BandleaderWe’re pleased to announce the launch of My World of Music, on the Network. The show is produced at the studios of AAPRC affiliate, Radio Phoenix, in Phoenix Arizona, where it has enjoyed popularity on the air since 2007.My World of Music hosted by Singer-Songwriter Walt Richardson, has a strong Caribbean, African, Latin base, with blues, folk, Asian and Middle Eastern sounds mixed in throughout. Much of the music in this program is highly rhythmic, danceable mix. The show opens each week with Reggae-inspired theme music, and from there takes off into directions all over the globe. There are lots of musical surprises… pieces you haven’t heard before… many you’ll find intriguing. A hot Mambo band, a South African chorus, an Arab club Programming Page Additions & Deletions groove, Bob Marley performing live, a Reggae version of Bob Dylan’s classic “Maggie’s Farm”… Listeners can expect to hear a variety of cultures on My World of Music. 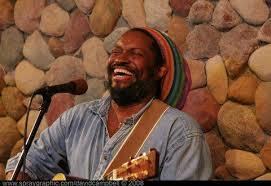 Host Walt Richardson is essentially a Reggae man; A working artist, performing singer-songwriter, with a passion for rhythm and acoustic guitar.Known throughout his home state of Arizona, this celebrated son was honored with an induction into the Arizona Hall of Fame for 2014. During his 30 plus years as a both a solo artist and bandleader, Walt has toured throughout the United States and Mexico, and shared the stage with Reggae greats like Third World and Ziggy Marley. He’s current working on his fifth recording.